Hi all. First off, I want to apologize for the lack of posts. Work is really getting to be out of control as far as the hours I work. I have no life anymore, and you can imagine how hard it is to post new blogs when every work day is about 13-15 hours long (drive included). Despite the ridiculous schedule, I did get a little break earlier this week to enjoy a hike in Runyon Canyon. This is a great location to get some exercise by climbing hills. At the top of the "mountain" there is an amazing view of Los Angeles. You can see everything from the skyscrapers downtown to the sparking ocean. It's quite beautiful! This park is a hot spot for celebrities and many TV shows and movies are filmed there. In fact, you have probably seen Runyon Canyon while watching shows like "The Hills," "Daddy's Girls," and/or "Life in the Fab Lane" in which Kimora acted as a photographer for the first time in a photo shoot. While I was there I spotted a few celebrities including Jennifer Aniston (super-skinny but with hips, kinda short, and not wearing makeup), Orlando Bloom (actually really cute in person, never really noticed before), and Heidi Montag (tiny, big glasses, and big lips). It was pretty cool to be walking alongside these celebrities. Of course it's LA so nobody made a scene or bothered any of these stars. It was pretty amazing to see how normal they seemed in the setting though. 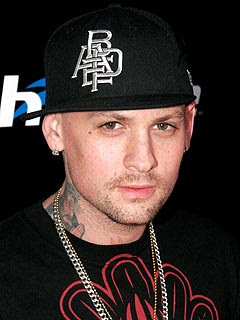 Also spotted twice in the past month, Benji Madden. He must live near my work because I've seen him two times recently filling up his Jag at the gas station in our paring lot. Thursday he was getting gas as I was walking into my building. A co-worker and I spotted him--and he saw us spot him--so my co-worker said hi (I of course froze!). Benji was extremely polite as he smiled, said hello, and asked us how we were doing. By the way, he's looking pretty hot. He was always cute, as in his twin Joel who is celebrating Nicole Richie's second pregnancy, but Benji has lost a lot of weight and looks great! So that's my life now-a-days. Working overtime, but spotting celebrities every now and then. I recently found this darling bracelet at Forever 21 and I love it. It looks great with all outfits--dressed up or down. 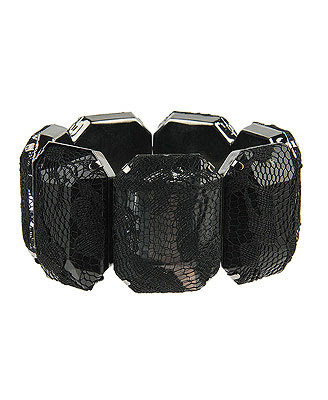 The best part, the Lace Overlay Crystal Bracelet, which comes in black and white, is only $5.80! 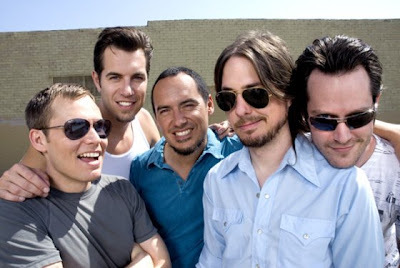 Every year on the 11th of March, abbreviated as 3-11, fans of 311 celebrate their favorite day of the year—311 Day! AS a HUGE fan of the band for the past 13 years (yup I started adoring them back in 7th grade), this year is especially exciting for me. I see people that I haven’t seen in years and the first thing they generally ask is, “Are you still a 311 fan?” Of course! If you aren’t familiar with the band, they are all about unity and positivity. Their lyrics express this and have a way of making me happy. When I am having a bad day, 311 instantly cheers me up. Their positive messages help me to forget about all of the bs and focus on the good things. Plus it doesn’t hurt that the lead singer, Nick Hexum (who was once engaged to Nicole of the Pussycat Dolls) is gorgeous ;) He's the tall guy in the picture in the back wearing the wife beater! He's also the blond guy in the video below. This past weekend I was lucky enough to purchase tickets for the No Doubt reunion tour. Words cannot even express how excited I am to see the group back together. I love Gwen, but she's best (in my opinion) when she's with the boys. I like the music more and I like her style more as well. There's no question that Gwen has an incredible fashion sense. I am a L.A.M.B. fan for sure--my checkbook will back that statement up =) haha. However, there's something that I can relate to when I reminisce about her clothing choice of the past. Most of us were introduced to this strong, positive female figure when "Just a Girl" blasted through the airwaves. I still get goosebumps when I watch the video. If he haven't seen it in awhile, or at all, check it out here. That was the moment for me when I realized how amazing the front woman and the band were. I was a young girl wearing wife beaters, Dickies, and black and white Dr. Martins (which I still wear!) and I adore seeing Gwen in this clothing as well. It helped me relate to her. And of course, being that she is from the same town where I was born, Anaheim, and briefly attended my alma matter, Cal State University, Fullerton, that was just extra-cool to me. 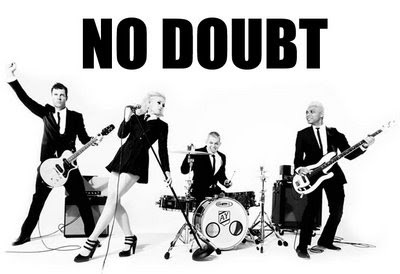 Below are pictures of No Doubt's leading lady through the years, starting from our first introduction to her and going on to about five years ago when the band last toured. Enjoy! And here's a fun picture that I had to add in. It's circa 1994! Are you a fan of Gwen's fashion? If so, which style of hers do you like the best? Do Glasses Make You Look Smarter, or Like a Dork? Although it seems like more and more people wear glasses these days, I still feel a bit dorky when wearing them. To be honest, I feel unattractive in them as well. I never wear them to go to a bar or party, but I do wear them at work pretty often. I must say I do have a cute pair (pictured above). They are made by Valentino and have the cutest rhinestones on the sides. But despite their appeal, I can't bring myself to wear them in social situations and feel completely comfortable. 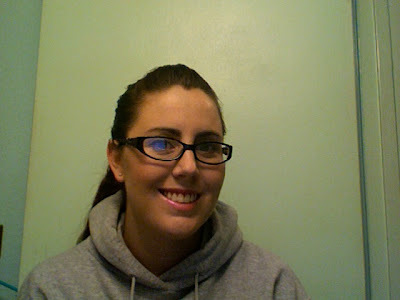 I didn't actually start wearing glasses until I was in high school, and at that time I really just stuck to contacts. Now; however, I tend to wear them a lot more. People say I look smarter in them, which is good, right? Well, if glasses make a person look more intelligent, should they be worn to a job interview? Since I fairly recently went on an interview, I contemplated wearing my specs. I wanted to look smart and professional, but not nerdy. Ultimately, I decided to not wear them. Now that I have been at my current place of employment for a few months, I wear them about four out of five days. What do you think; would you wear contacts or glasses when seeking new employment? 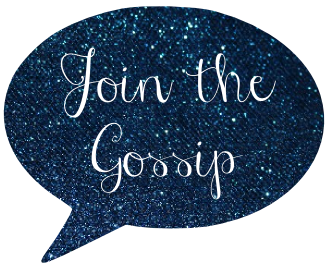 Congrats to Megan Cassidy who was selected as the winner of Join the Gossip's Daniel Chinchilla Cosmetics Contest! This lucky gal will get to choose a foundation type in the color of her choice! Be sure to check out DanielChinchilla.com, as well as Megan Cassidy's fantastic blog, The Style Archives! Glamour: "You can do anything! That’s the message of the seven decades of female risk takers, rule breakers and style makers here. We celebrate them with the help of some very-2009 young talents." I'm actually distantly related to Amelia Earhart (by marriage), so the above is my fav. picture! I am not a fan of the below photo, however. I think Lohan doesn't look anything like Madonna, or even herself really in this pic. As I have expressed before, I'm not a fan of Madge, but I can't deny that her style has been iconic. I just think this wasn't a good match up. What do you think of these photos? You can check out the rest here. Heads Up: The Body Shop Brush Sale! I was lucky enough to be informed by The Body Shop that they are having a great sale on their makeup brushes. 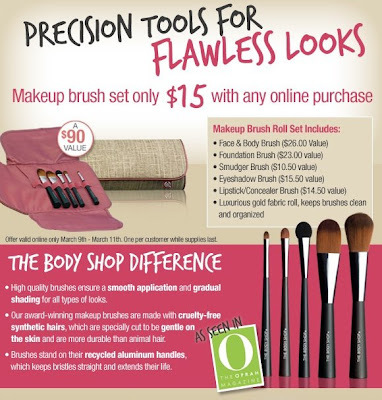 A kit including five brushes, worth $90, will be discounted to a mere $15! All you have to do to get this deal is make any online purchase Monday, March 9 through Wednesday, March 11. These brushes all come neatly packaged in a case that keeps brushes clean and organized. Amazing huh?! Check it out on their site Monday though Wednesday!